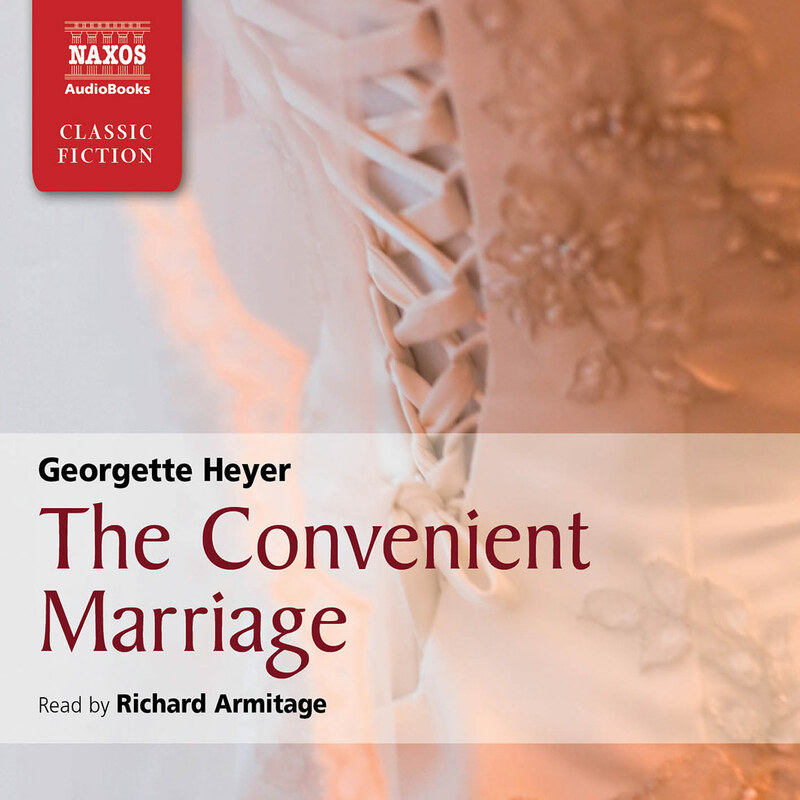 Georgette Heyer’s novels are second to none in recreating Regency times, and most of them are available on audio. 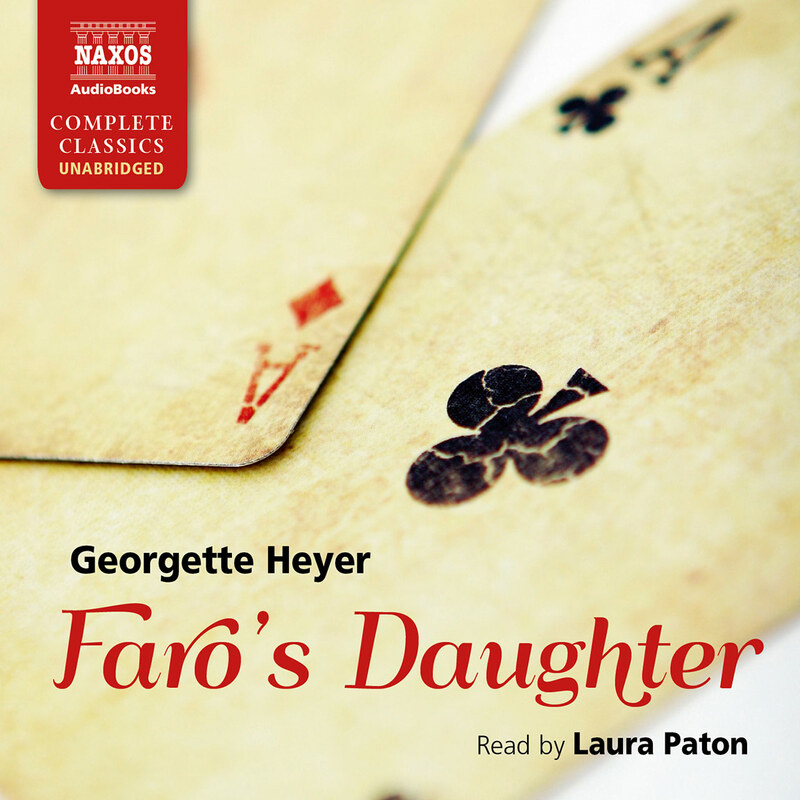 The latest of Naxos’s lively abridged versions to be released is Faro’s Daughter, another tale of a poor but feisty girl using her mind as well as her looks to make good. From the instant that the wealthy and noble Max Ravenscar frowns at the news that his naive young cousin is in love with a gamester’s daughter, we can guess the outcome, but the journey, voiced with bounce and bonhomie by Laura Paton, is a delight. Although Georgette Heyer’s name is synonymous with the Regency romance, she also wrote numerous novels set somewhat earlier in the Georgian era, including Faro’s Daughter. The events of the novel take place during or shortly after the year 1795, while King George III was still on the throne. 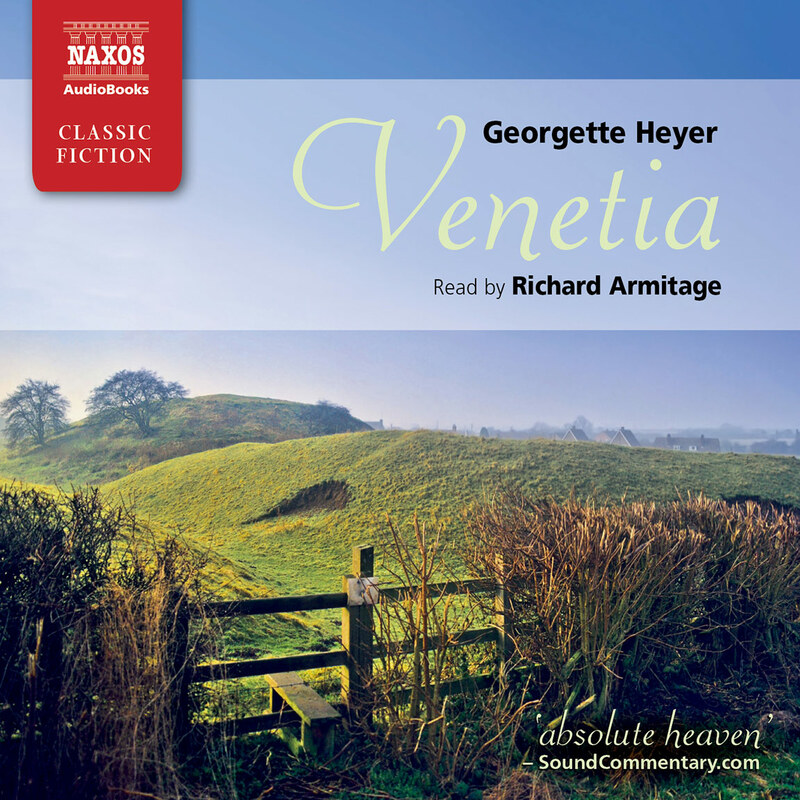 Though the historical context of the period does not play such a foreground role here as it does in much of her other work, like The Grand Sophy or Venetia, it provides an ever-present backcloth to the escapades of the characters. 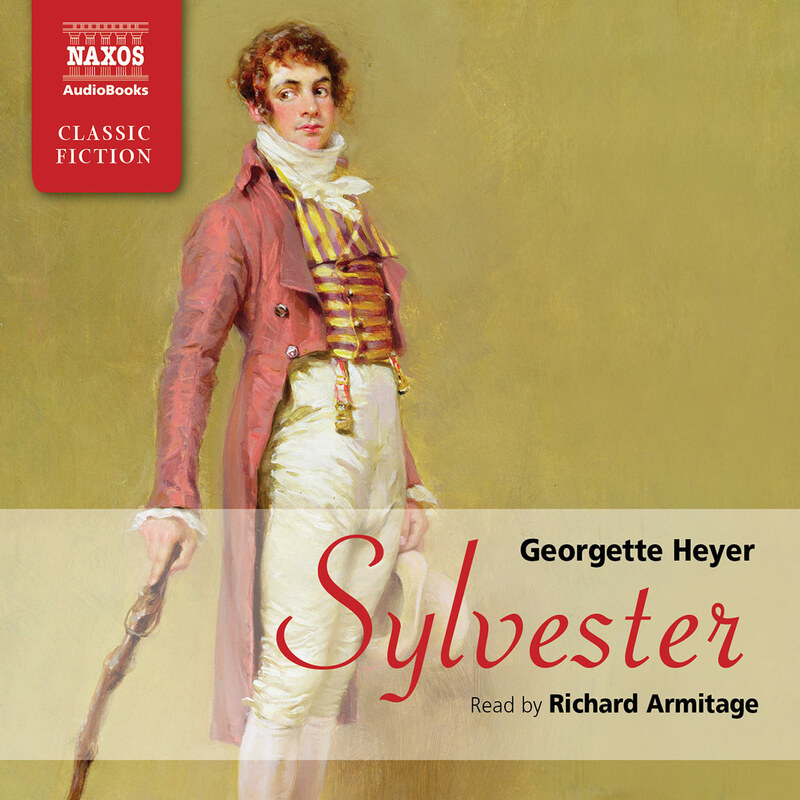 As is so often the case with Georgette Heyer’s work, historical references are woven so deftly into the fabric of the book that they pass almost unnoticed – although her knowledge of the Georgian period was extensive, she wore her erudition lightly. The noblemen and gentlemen who agreed to the Duke of Bedford’s cropping proposal a few days ago at Woburn Abbey, when a general cropping and combing out of hair took place, were Lords William Russell, Villers. Paget, Sir H. Featherstone, Mr. Lambton, Mr. Ant. Lee, Mr. R. Lee, Mr. Trevers, Mr. Dutton, Mr. Day, and Mr. Vernon. They entered into an engagement to forfeit a sum of money if any of them wore their hair tied or powdered within a certain period. Many noblemen and gentlemen in the County of Bedford have since followed the example. It has become general with the gentry in Hampshire, and the ladies have left off wearing powder. The short, cropped cut became symbolic not only of protest against the taxes, but of political allegiance to the Whigs. Lady Mablethorpe’s horror, then, is more than simple personal preference, and in this one throwaway reference Heyer is able to subtly impart a wealth of information about the two characters. In general, dress is an important means of characterisation for Heyer. When Miss Grantham dresses herself up to look ‘like some dreadful creature from the stage’, she wears bright, clashing colours and heavy make-up, including patches. Patches – small pieces of black fabric that were attached to the face – and excessive rouge became unfashionable around 1790, and Miss Grantham deliberately uses them to suggest a lack of style and elegance. The gaming house presided over by Deborah and her aunt plays a central role in the novel. The eighteenth century was seized by a passion for gambling, and such houses, often run by aristocratic women, were common – a 1796 estimate put the number of gambling clubs in London at forty-three, six of which were run by women. Faro was a popular game, as was E.O. (even/odd), a precursor of roulette. Lady Bellingham may have been modelled on such infamous real-life characters as Mrs. Albinia Hobart (1738–1816), who later became Lady Buckingham, and Lady Sarah Archer (d. 1801). An influx of French aristocrats after the Revolution saw an increase in the number of gaming houses, but there was an immediate backlash, and the 1790s saw the so-called ‘faro ladies’, or ‘faro’s daughters’, get an increasingly bad press. Lady Bellingham’s comments on the ‘absurd stuff written in the daily papers about the wickedness of gaming-houses’ probably refer to the many articles written on the dangers of gambling. Women like Deb Grantham were routinely characterised in these moralistic screeds as lascivious, dissipated and predatory – precisely the qualities that Ravenscar assumes her to possess. Born in London in 1902, Heyer inherited a love of books from her father, George Heyer, and two of her closest childhood friends, Carola Oman and Joanna Cannan, with whom she spent many hours discussing literature, grew up to be authors. She showed promise from an early age, writing her first book, entitled The Black Moth, at the age of seventeen. 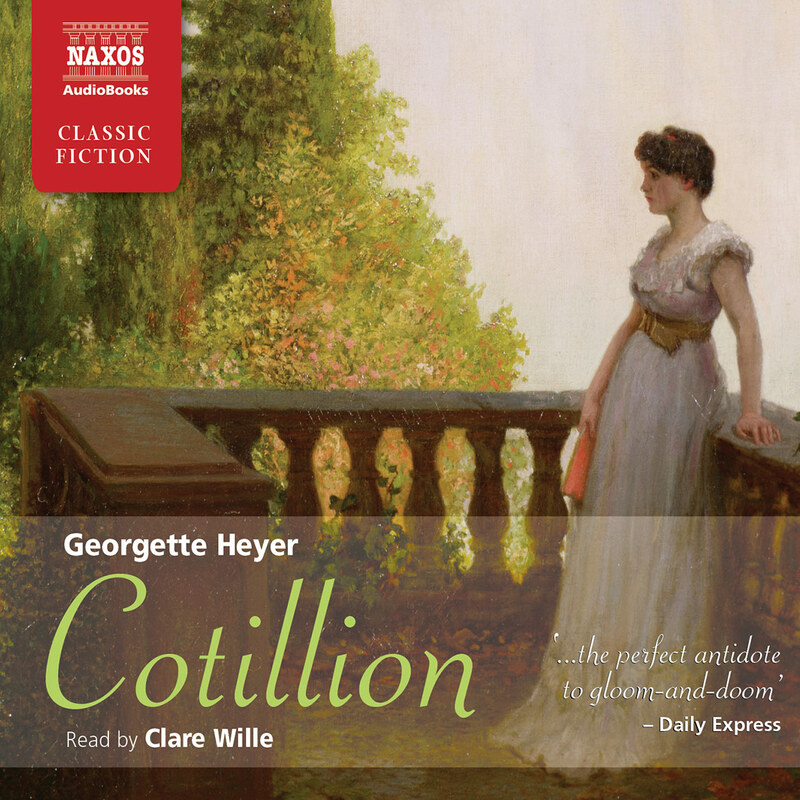 It was published, with George Heyer’s help, in 1921, initiating a steady stream of novels. In 1926, Heyer had her first major success with These Old Shades. By this time, she had been married for a year to a young mining engineer named Ronald Rougier, and had already published five books. From 1932 until her death in 1974, Heyer produced novels at the extraordinary rate of almost one a year, spawning a new literary genre – the Regency romance. Yet despite her undeniable success, she was frequently troubled by plagiarism and financial problems. Throughout the fifties and sixties, her company Heron Enterprises was a source of contention between her and the tax authorities, and a large chunk of the profits from books written around this time went towards paying back money to the Treasury. Plagiarism also became a problem – from the 1950s onwards, several other writers traded on her popularity by writing novels using names, phrases and events from her books. 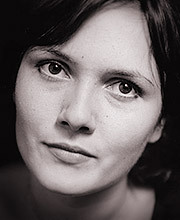 She was even accused by some of her fans of publishing substandard work under a pseudonym. Although Heyer sought legal advice on several occasions, she never chose to sue. 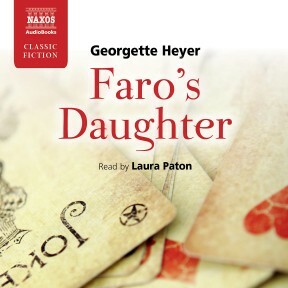 Faro’s Daughter was published in 1941, as Heyer was reaching the height of her popularity. It bears all the hallmarks of her best romances, being witty, charming and brimming with historical insight. It features a number of familiar comic characters, including the kind-hearted, ineffectual Lady Bellingham, the bewildered ingenue Phoebe, and the dissipated, ageing rake Lord Ormskirk. Miss Grantham and Mr Ravenscar are flawed, though ultimately likeable protagonists, and their many misunderstandings and entanglements only make them more endearing.